MEXICO CITY — Mexico President Andrés Manuel López Obrador on Thursday named an army general who is a veteran of the country's drug war to command the newly formed and controversial National Guard. Brig. Gen. Luis Rodríguez Bucio will take over the post immediately. He said that he's in the process of retiring from the army. 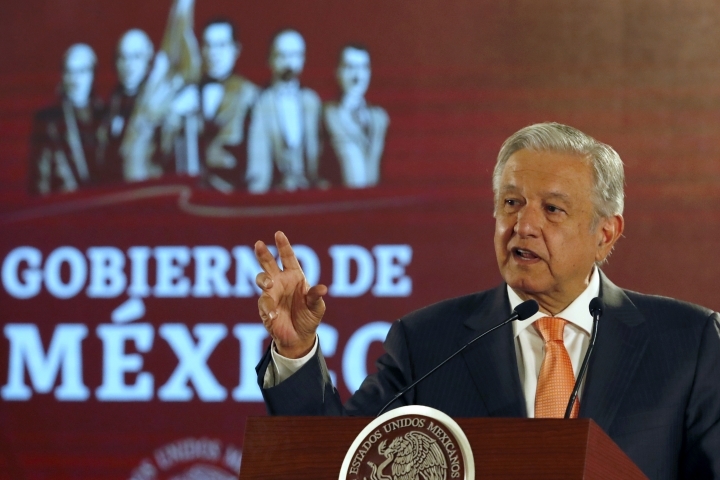 López Obrador took office in December saying he wanted to address the root causes of Mexico's spiraling violence rather than worry about going after the country's drug lords like previous administrations. He repeated that desire Thursday, but said he has a responsibility to provide security for the people. Critics of the new force have complained that it's too tied to the military, though López Obrador says that's crucial to its effectiveness. The National Guard will initially be made up of military police and members of the federal police. Another general and a retired navy admiral will form the National Guard's operational coordinating body along with a federal police commissioner. Rodríguez Bucio, 62, is a veteran and student of Mexico's war against the drug cartels, having battled them in northern states including Tamaulipas, Nuevo Leon and Chihuahua, as well as the western states of Sinaloa and Durango. During the administration of President Felipe Calderón, who launched Mexico headlong into the war against the cartels, Rodríguez Bucio held top positions in the drug trafficking analysis group of the general staff. In the 1990s, he worked closely with Mexico's domestic intelligence agency. In more recent years, he has held research oriented positions studying the country's strategy against drug trafficking. While pursuing a doctorate in defense and national security he wrote a thesis about the military's role in the drug war under Calderón. But security analyst Alejandro Hope said the fact that Rodríguez Bucio remains active military creates parallel chains of command. While the formal one answers to Durazo, as a military officer he will still be in the army's chain of command and answering to superiors. "I feel like this nullifies Durazo," Hope said. How the relationship between Durazo and the National Guard's coordinating body will work remains unclear, because additional legislation needs to pass. Last year saw the highest number of murders in at least 20 years. Human rights groups had hoped that the new administration would reduce the military's role in internal policing and the country had been under international pressure for years to reform its police and send the soldiers back to their barracks. But police reform efforts stalled and López Obrador decided to start from scratch.